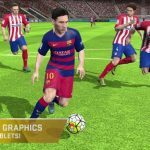 FIFA 16 Ultimate Team was recently released by EA Sports for Android and iOS devices, and just as expected, it’s getting a lot of love from the mobile gaming community. With stunning graphics and loads of new features, it’s going to take up a lot of space on your device (1.4 GB) and going to require a relatively new phone or tablet for the best playing experience; some of the older devices suggested, just to give you an idea, include the HTC One M8 (not the original One M7) and Samsung Galaxy S4. As usual, there are thousands of players available in the game, as well as more than 500 licensed teams. When starting out this game, one of the things you want to go for is coins. 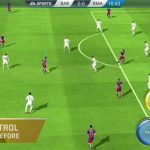 In the past we shared some useful tips and tricks on how to earn coins in the game. 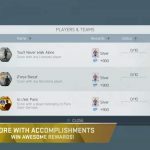 Now, you’ll need a lot of them if you want success early on in Ultimate Team, which is why we suggest you to check out our second FIFA 16 Ultimate Team cheats, tips and strategy guide, which teaches you some more tips about how to earn coins fast. Players in FIFA Ultimate Team are ranked as Bronze, Silver, and Gold based on their abilities. However, you won’t have any control over the players you will be assigned when you enter Ultimate Team mode – it’s all randomized. As a refresher, players ranked 0-64 are classified as Bronze, those with rankings of 65-74 are Silver, and those with rankings of 75-99 are Gold. Pay close attention to the Gold players, as they’re the ones who will stand out on your team due to their skills. And speaking of skills, you also want to familiarize yourself with them when it comes to your Gold players. It’s one thing to have a talented team to start things out or a talented team to work towards having, but talent is nothing without chemistry. Players are connected to others with a red, yellow, or green line; a green line represents good chemistry, a yellow line means chemistry is relatively neutral, and a red line tells you they have bad chemistry. Nationality, club affiliation, and leagues are all variables that affect chemistry. Poor chemistry is a must to avoid; if that’s the case with your team, your players will be sloppy on the field due to bad communication and a lack of organization. Use the player preview tool so you can see how players affect the chemistry of your starting eleven if they’re on the pitch; this is faster than using a trial-and-error method and swapping players in and out of the starting lineup. We mentioned this tip and the one above because playing in matches and tournaments, among others, are great ways to organically earn coins, especially if you win. Once you’ve gotten to know your lineup and ensured that there are no problems with chemistry, that’s when you can focus on coins. For starters, you can earn more coins by selling players you don’t need on the lineup, or those who affect your chemistry negatively. Segregate managers, stadiums, and other consumable assets, and retain your Gold players as long as they mesh well with the rest of your team. It might sound like a good idea to sell consumables, but there are some that may give you a boost to certain ratings, such as fitness. 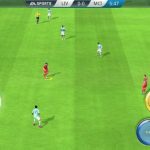 If you are struggling to complete managers tasks in the game, we have some good news for you, as we have a detailed guide on this topic. Also, you may want to check out our strategy guide, which explains you how to have some success in FUT Draft mode.